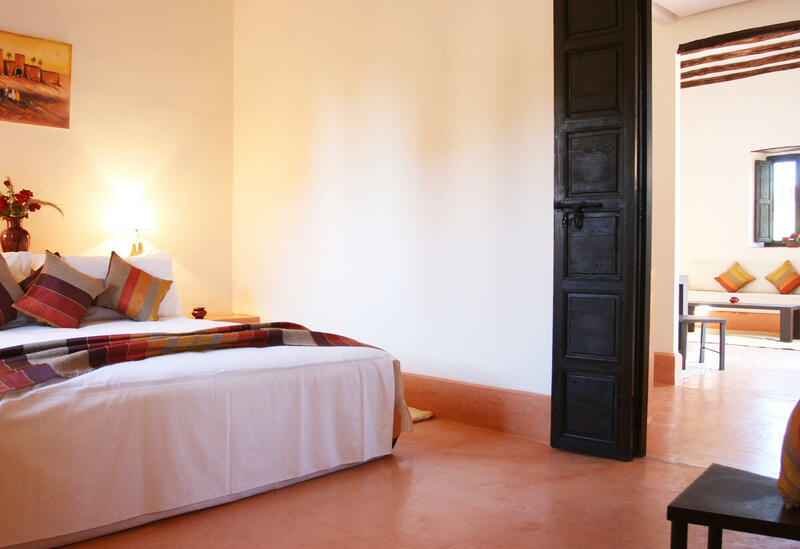 With its 50m2 and King sized-bed, the suite is perfect for your longing to spend a few days of tranquility far from the noises of the city without giving up the smooth comfort of a luxurious accommodation. 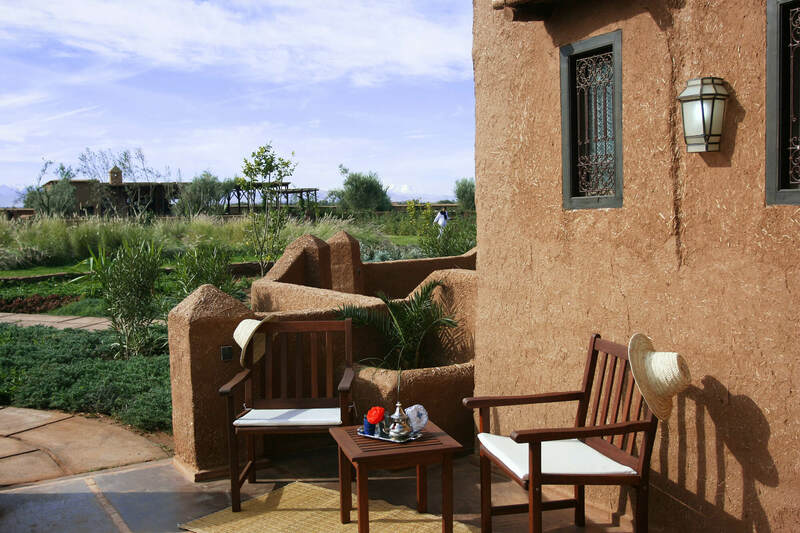 This suite has a patio with view on the garden or the Atlas Mountains. 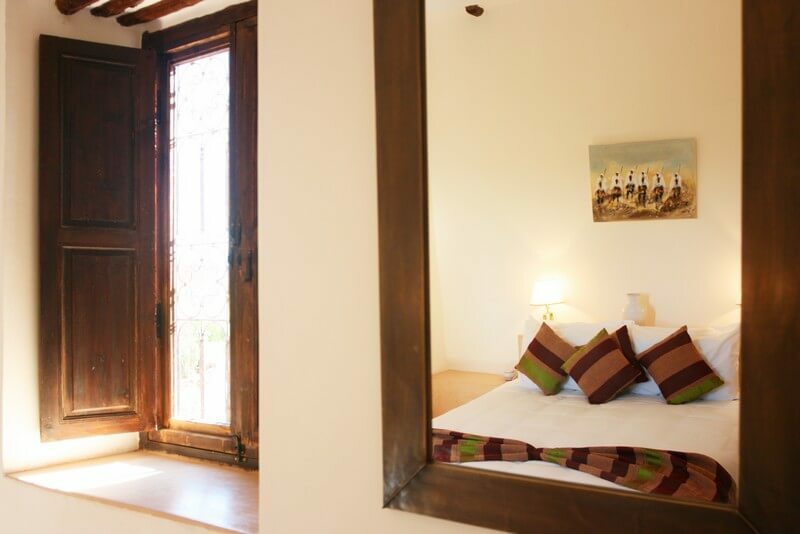 It has also a terrace on the roof with a view on the countryside and the gardens.